For all the eventual success the blistering live album Live Bullet brought Bob Seger, a series of false starts and bad breaks meant it had been a decade-long battle to get noticed outside the Motor City. In 1967 his single Heavy Music sold more than 60,000 copies in Detroit alone and threatened to break out nationally but his label, Cameo/Parkway, went bust and distribution collapsed. It got better. By 1973, Seger had brought on board most of the musicians who would form the Silver Bullet Band and provide a formidable backing for whichever direction he took. They could burn like the MC5, funk like the JBs, blast gleefully through Chuck Berry-style rockers, or provide a suitably wistful backing for Bob’s many ballads. For while Seger has been unfairly maligned as a meat-and-potatoes rocker by some, it’s his strengths as a balladeer that truly mark him out as unique. All his best albums are dominated by aching, romantic, coming-of-age songs, and it was anthems such as We Got Tonight and Night Moves that really connected with his audience. Indeed fellow Midwesterner Prince was inspired to write Purple Rain after becoming fascinated by the hold Seger’s power ballads had over arena crowds. Bob Seger released more studio albums in the 70s than he has in the 38 years since. Here we rank all 18, from wobbly worst to barnstorming best. The second Bob Seger System LP is one of the most mysterious albums recorded by any major artist. Seger takes a back seat while another band member, the previously and subsequently unknown Tom Neme, contributes much of the material and sings lead on a series of flimsy pop-garage makeweights. The album is a mess, and the nadir is reached with the wretched Cat, a startling, avant-garde hippie recital featuring six minutes of metallic percussion and aimless grunting. The urgent Death Row, a leftover from the Ramblin’ Gamblin’ Man sessions, is head and shoulders above everything else, but really only serves to highlight the album’s shortcomings. Perhaps the weakest of Seger’s albums in terms of songwriting, It’s A Mystery found the main man in uncertain mood, and that’s reflected in the performances. If you can work your away around the synths and drum machines, there are highlights: the clattering cover of Tom Waits’ 16 Shells from a 30-6 is decent, the hazily atmospheric title track is lovely, and By The River — a wistful acoustic strum-along — is genuinely charming. Like A Rock marked the point where Bob Seger began to slow down, and with that lost momentum went some of the Silver Bullet Band’s energy. The stunning ballad Like A Rock soundtracked a series of brilliantly over-the-top Chevrolet ads (they’re some of the Most American things you’ll ever see), and there’s an unfortunate cover of John Fogerty’s classic Fortunate Son, but even the best songs feel somewhat lethargic. It’s the first real grown-up Seger album, but that lack of youthful zest takes it toll. With a vast line-up of musicians including Steve Lukather, Joe Walsh, Roy Bittan and Bruce Hornsby (and five different producers), The Fire Inside could have been a mess. And it was, for the most part. Thankfully, Seger’s gift for a song was still able to pull magic from the murk: The Real Love was the kind of chiming, expansive mid-tempo that guaranteed airplay, while the pounding Which Way was the kind of shuffling bar room blues that gave George Thorogood a career. A mixed bag of covers, new songs, and old material pulled from the archive and thoroughly defibrillated. The Sea Inside churns with malevolence, with Bonham-esque tom-tom rolls and Kashmir-style strings that swoop in to heighten the air of mystery, while Glenn Song is a slow, genuinely mournful tribute to the late Glenn Frey, and I’ll Remember You is Seger doing what he does better than almost anyone: a gospel-tinged ballad of the sort that originally cemented his command over arena crowds. Overall, though, the album comes together in somewhat less cohesive fashion than the preceding Ride Out. Seger apparently hates the album (it’s rumoured the singer buried his own copy in the garden and hasn’t listened to it since), but Brand New Morning deserves praise. Setting a template Bruce Springsteen would follow years later with Nebraska and The Ghost Of Tom Joad (ernest rocker ditches thrilling live band to pursue solo acoustic project), the album showed what an accomplished singer-songwriter Seger was becoming. It’s occasionally over-sincere, but the raw material — especially on Song for Him, Railroad Days and on the title track — would provide the building blocks for the career that followed. Following the acoustic, head-clearing exercise of Brand New Morning, Bob Seger climbed back into the rock’n’roll saddle for Smokin’ O.P.s [other peoples’ songs]. A version of Tim Hardin’s If I Were A Carpenter that shifted gears from plaintive to triumphant was a highlight, while a chugging cover of Chuck Berry’s Let It Rock would go on the become a live staple. The sleeve artwork, which spoofed the Lucky Strike cigarette packaging, is worth a special mention. Seger returned from a decade away from the studio to release an album that sounded as if he’d fallen back in love with music. The rousing Wreck This Heart starts the party, a sizzling cover of Vince Gill’s Real Mean Bottle (featuring Kid Rock) gets things thoroughly shook up, and the contemplative ballad Wait for Me is up there with Seger’s very best songs. This is the sound of a man completely comfortable with who he’s become. A genuine return-to-form, Ride Out might be a Bob Seger album housed in a sleeve that looks like a Jerky advertisement, but it’s an extremely solid collection of songs. Seger sounds buoyant and relaxed throughout, leading off with a cover of John Hiatt’s motor city hymn Detroit Made, continuing with a eerily accurate tribute to Stevie Ray Vaughan in Hey Gypsy, and climaxing somewhere towards the end with the unexpected green anthem It’s Your World. A huge commercial success (after a receiving a largely lukewarm response from the critics — notably Rolling Stone, who referred to the album as “absolutely cowardly”) – Against The Wind actually features some of Bob’s best songs. Both the title track and Fire Lake capture that aching, coming-of-age ambience — all lost summers and young love — that Seger does so well. On the other hand, The Horizontal Bop may be the laziest album opener by any artist who really ought to know better. Ignore that: there’s plenty of other reasons to return. Although the album is credited to Bob Seger alone, the reverse side of the sleeve includes the first mention of the Silver Bullet Band – out of the way beside the copyright information. It opens with a pulverising stomp through the Chuck Berryish Get Out Of Denver (later covered by Dr Feelgood and Dave Edmunds, among others). The song wasn’t autobiographical: “‘Albuquerque’ didn’t fit,” Seger said. Need Ya finds Bob doing his best Rod Stewart impression, Cross Of Gold sounds like a forgotten highlight from MC5’s Back In The USA, U.M.C. (Upper Middle Class) displays a gift for savage social satire, and 20 Years From Now is genuinely lovely. Housed in a perplexingly rotten cover, the first great Seger album arrived a little less than a year after his worst, Noah. Mongrel is Seger at his most ferocious, and Evil Edna, Highway Child and Teachin’ Blues are among his fieriest performances.The swaggering garage classic Lucifer is an absolute highlight, as is an unhinged cover of River Deep Mountain High, which really isn’t the kind of thing you attempt unless every single cylinder is firing perfectly. From a historical perspective the most interesting track is perhaps Big River, a mid-tempo ballad that eerily predicts the sound that would bring Seger so much success on later songs such as Night Moves. There’s plenty of talent on show on Seger’s debut album – credited to the Bob Seger System – even if it’s matched by a curious lack of focus. The band try their hand at West Coast hippie psychedelia on White Wall and Gone, both of which are as awkward as the similarly disjointed electric folk of Train Man. But when it works, it really works. The title track is an immense, powerful, organ-driven shuffle, while 2 + 2 = ? is one of the great Vietnam protest songs, every bit as furious as Creedence’s Fortunate Son, and features a bass line that would later inspire the White Stripes’ Seven Nation Army. After the overtly commercial and critically damned Against The Wind (Seger’s only US No.1 album), The Distance was an unequivocal return to form. It’s a loosely themed concept album about relationships, inspired by the Woody Allen film Annie Hall. House Behind A House is the album’s only moment of real weakness. Even Now is a successful attempt to repeat the Hollywood Nights formula, while Shame On The Moon, Coming Home and Roll Me Away are all Seger at his very best. The latter is one of the greatest evocations of man, motorcycle and the freedom of the highway ever committed to vinyl. 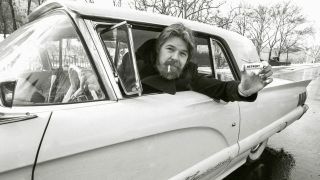 The title refers to Seger’s discomfort with his new-found fame, but the album features two of Seger’s most fearless songs: Hollywood Nights, despite its theme of innocence abroad, is a ferocious, adrenalin-fuelled rush; We Got Tonight is the polar opposite, an achingly tender ballad that was later covered by artists as disparate as Shirley Bassey, Richie Havens, Barry Manilow and Jeff Healey. Old Time Rock & Roll – used in the iconic Tom Cruise dancing scene in Risky Business, and the second-most-played single on American jukeboxes ever (behind Patsy Cline’s Crazy) – was added almost as an afterthought. Released on Palladium Records (a Detroit label started by Seger’s manager, Punch Andrews), Back In ‘72 includes two tracks that would become better-known covered by others: Rosalie was recorded by Thin Lizzy two years later, while Turn The Page was a hit for Metallica in 1998. Those two alone are worth the price of admission, but covers of Free’s The Stealer, Gregg Allman’s Midnight Rider and Van Morrison’s I’ve Been Working are all solid, and Seger’s ballad So I Wrote You A Song clearly points in the right direction. Unhappy with the sound of his voice, Seger has since disowned the album, and it’s never been reissued. The singer was unsure about the plaintive title track of Beautiful Loser (billed as a Seger solo album) until he played it to Eagles guitarist Glenn Frey (they’d dropped acid together in the 60s, and a pre-fame Frey sang on Seger’s 1969 nearly-hit Ramblin’ Gamblin’ Man). Frey convinced Seger to persevere, giving him the confidence to include more contemplative songs alongside the rockers, and the gorgeous Jody Girl plus Travelin’ Man, Momma, Sailing Nights and Fine Memory made it six slower songs on a nine-track album. Ballast was provided by the up-tempo Katmandu and a snarling, one-take cut of Nutbush City Limits. Bolstered by the success of ‘Live’ Bullet and renewed backing from Capitol Records, Seger recorded the album that would make his career. The Silver Bullet band provided power on Rock And Roll Never Forgets and The Fire Down Below, while the Muscle Shoals rhythm section bestowed grace on the poignant ode to Ann Arbor, Mainstreet. It was the title track that gave Seger a national audience in the US and made him a star. Inspired by the film American Graffiti, Kris Kristofferson’s Me And Bobby McGee and Bruce Springsteen’s Jungleland, he worked on the song for six months, knowing it had to be perfect. “I wrote my brains out,” he said later.